Pininfarina Battista is the chosen name of the electric hypercar currently being developed by the new car manufacturing division of Italian design house and coachbuilder Pininfarina. Previously referred to by its code name PF0, the electric hypercar is scheduled for its debut next March at the 2019 Geneva International Motor Show and is destined to be the fastest and most powerful car to ever come out of Italy, with its output confirmed at 1,900 horsepower and 1,696 pound-feet of torque. For reference, that’s double the power of a Ferrari LaFerrari. 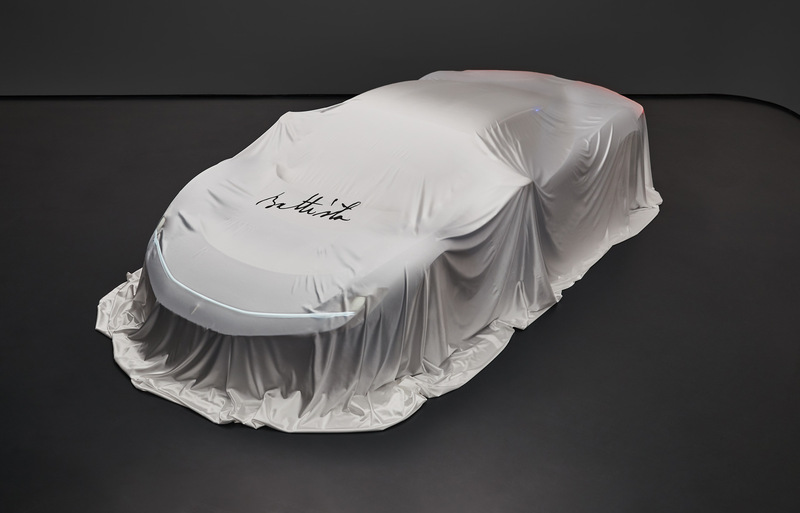 Pininfarina announced the Battista name on Tuesday and released two additional teaser photos of the car. Battista, of course, is the first name of Pininfarina founder Battista Pininfarina (born Battista Farina), and is appropriate given it was the founder’s lifelong dream to eventually launch a car brand under his own name. While he wasn’t able to realize that dream before his passing n 1966, today the company he founded is run by his grandson, Paolo Pininfarina. The Battista is promised with 0-60 mph times of less than two seconds and a top speed in excess of 250 mph, which 1,900 hp should do. Pininfarina also boasts a range of more than 300 miles, though we’d wager that will only be achievable when driving at legal speeds. The Pininfarina coachbuilding division will be responsible for the production, while Rimac has been tapped to supply the powertrain. Rimac is the Croatian OEM that offers the 1,914-hp C_Two electric hypercar. Meanwhile, ex-Formula 1 driver Nick Heidfeld has been tasked with honing the zero-emission Bugatti Chiron on the track. Heidfeld will also be the lead tester for future Pininfarina models, which will all be high-performance, ultra-luxury EVs. The next model will be a large SUV with third-row seats. The cars will be penned under the Pura design philosophy. Pura, Italian for “pure,” is all about design purity, where form and function are one and the same, Pininfarina announced in November. Pininfarina will cap Battista production at 150 cars, with 50 examples earmarked for the United States. The price tag will lie somewhere between $2 million and $2.5 million and the first deliveries will commence in late 2020, almost exactly 90 years after Pininfarina was founded.